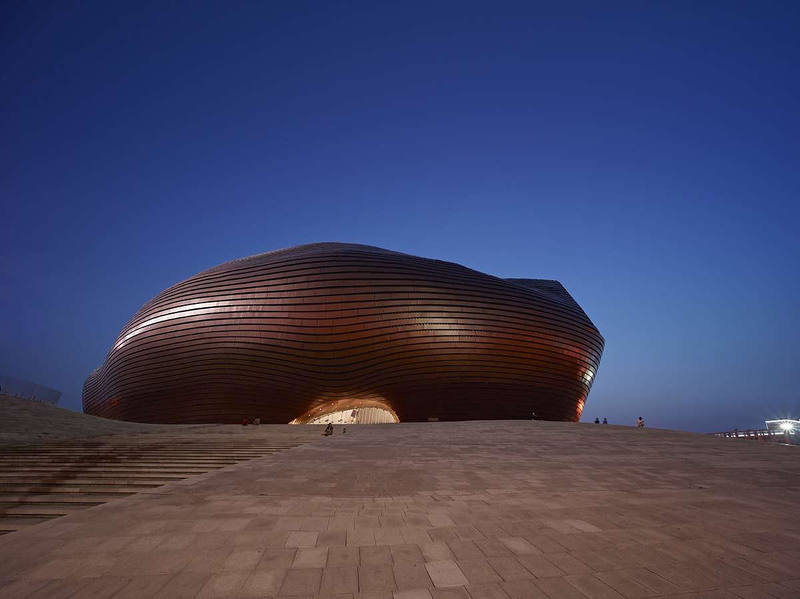 Right in the middle of Mongolian Gobi Desert lies one of the most unique in form and aesthetics contemporary buildings, the Ordos Museum. 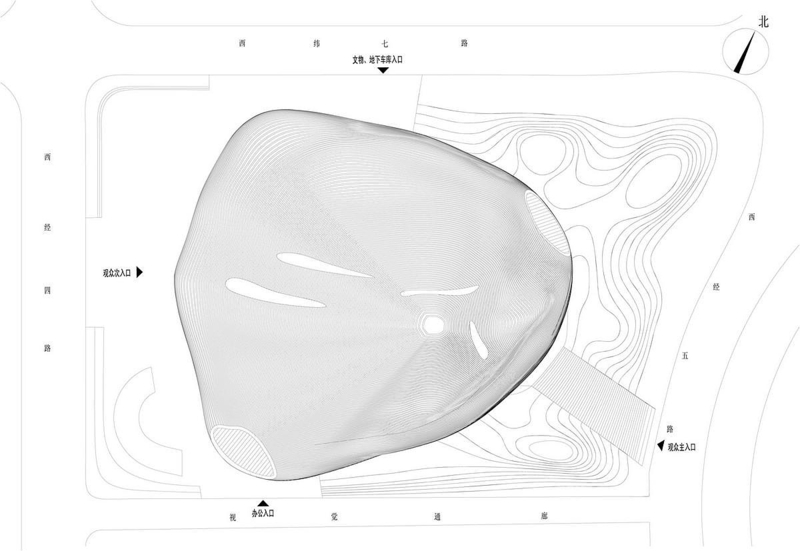 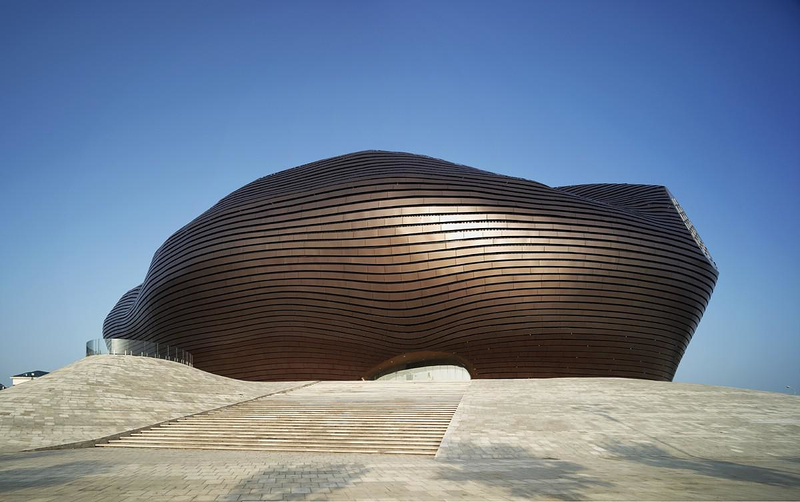 The shape of the structure mimics that of a pebble that is lying on the sand, an inspiration realized by Chinese MAD Architects in the fall of 2011. 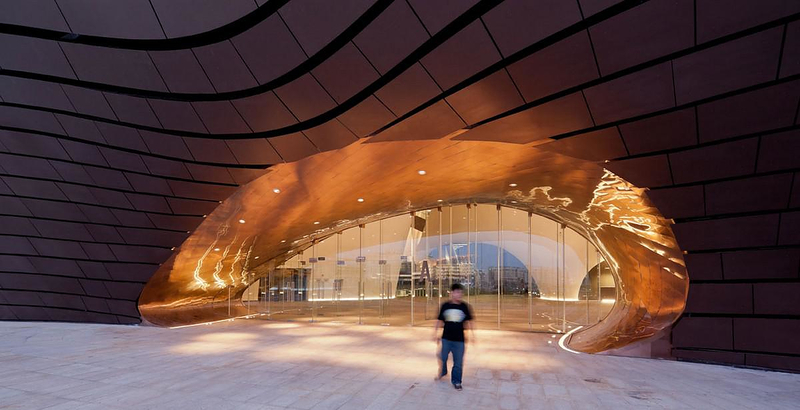 The shape of the building resembles a big blob with curves and material specially made to endure the ferocious mood of the desert climate. 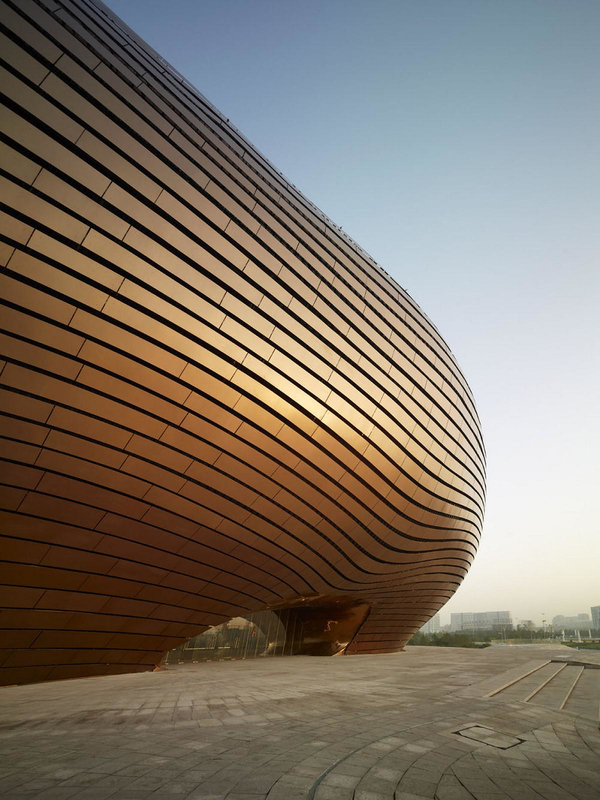 The surface consists of polished metal panels bend in an aerodynamic shape that makes the Ordos Museum resistant to the sandstorms that occur in the area. 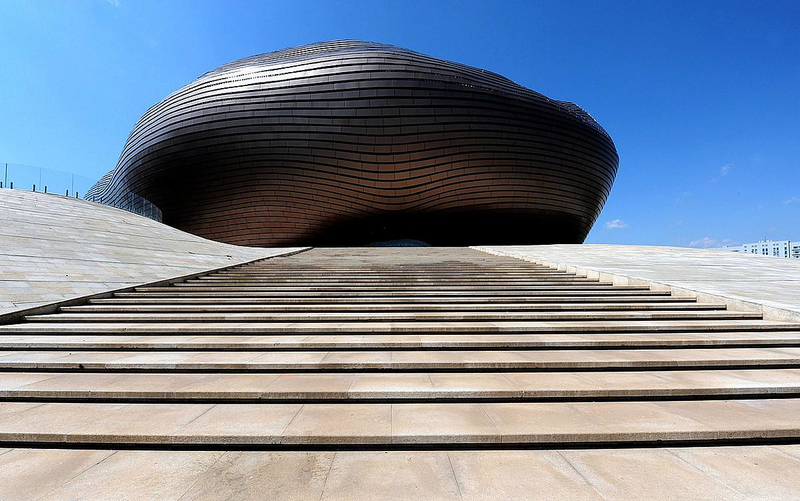 Symbolically, the Ordos Museum protects also its content, the Chinese Heritage, from the growth “storm” of the rapidly developing city of Ordos. 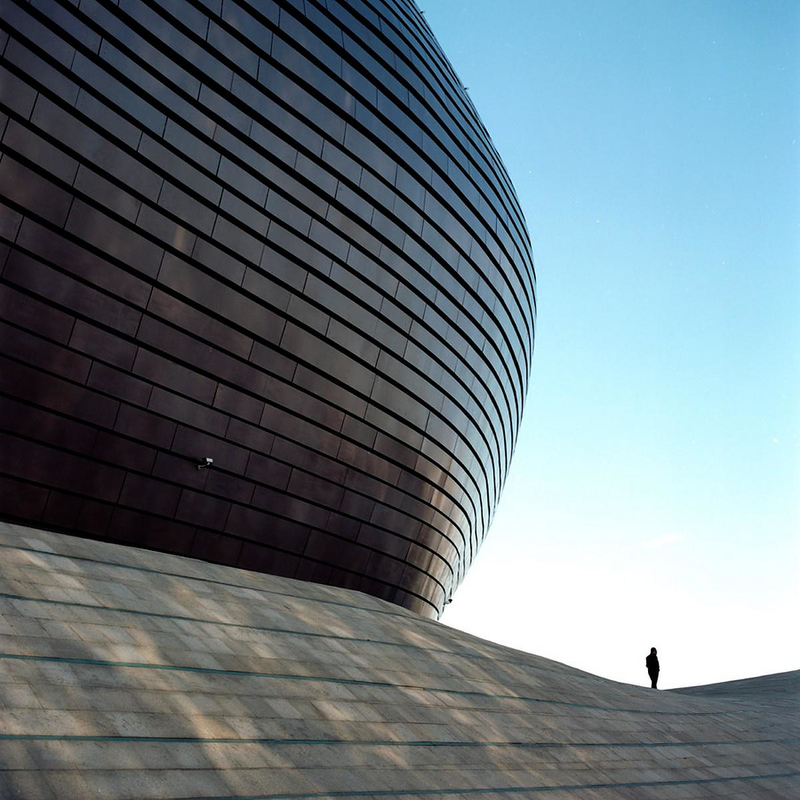 Inside the Ordos Museum one can find many galleries, which connect with one another through bridges. 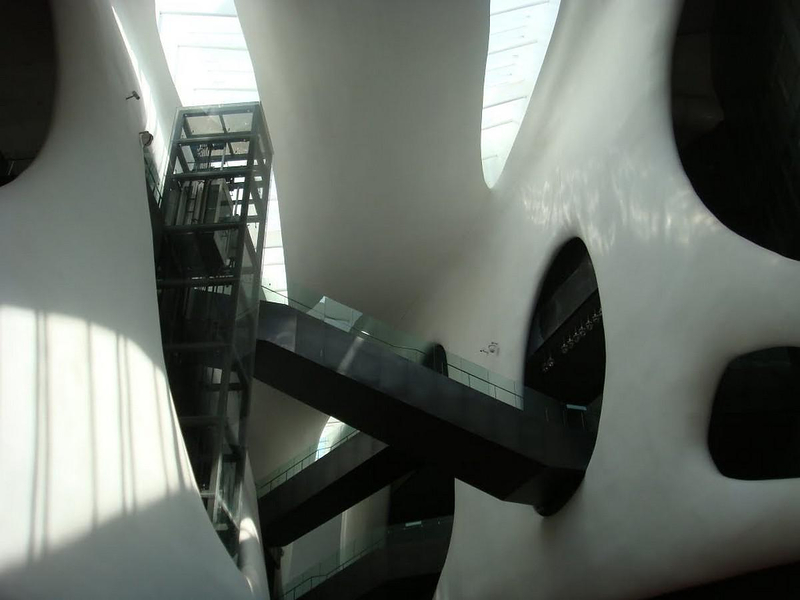 The museum has two entrances which encourages the passers-by to enter it and pass through. 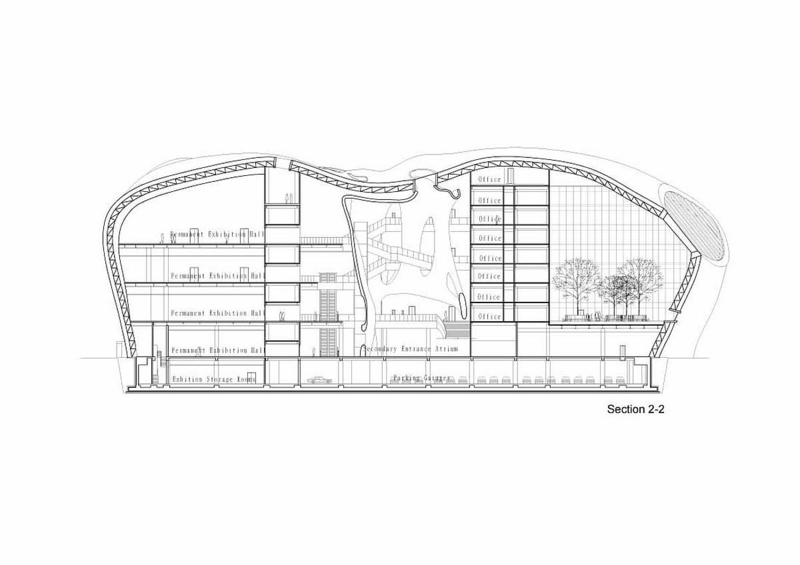 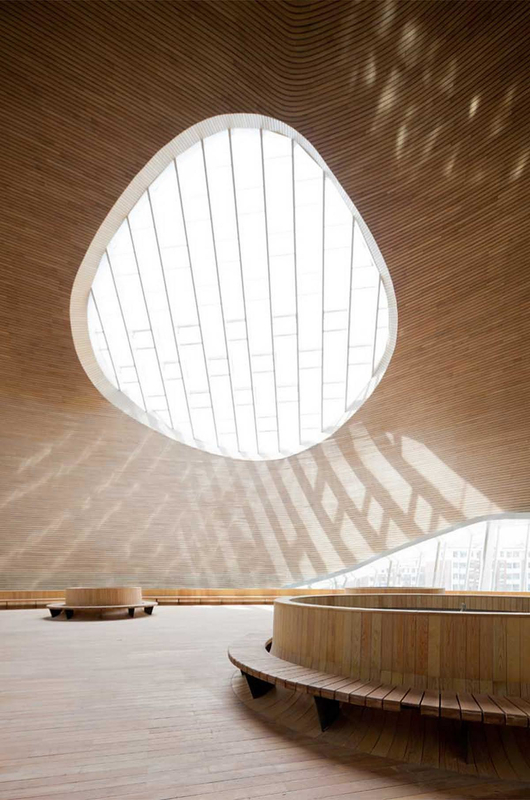 The atrium with the bridges is the main core of the building, bathed in light and impressive naturalistic curves. 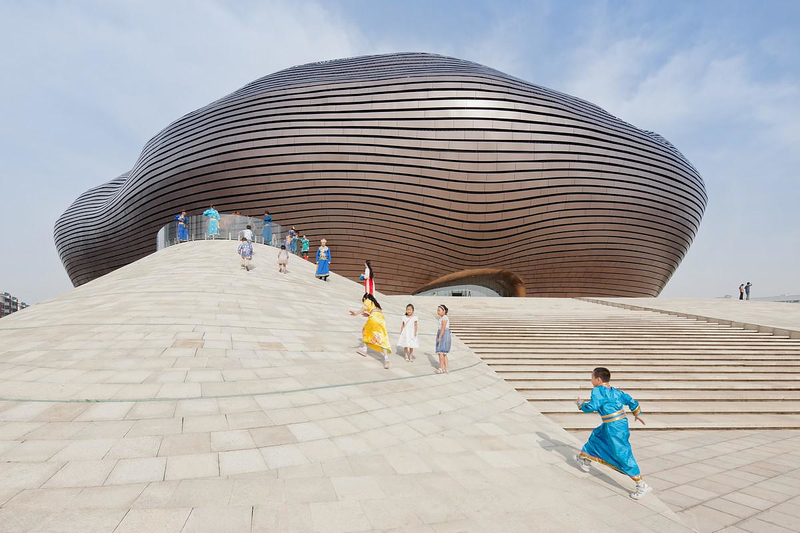 The Ordos Museum is a nest that protects the pedestrian passers-through and invites them inside, a feature that made the people of Ordos embrace the building. 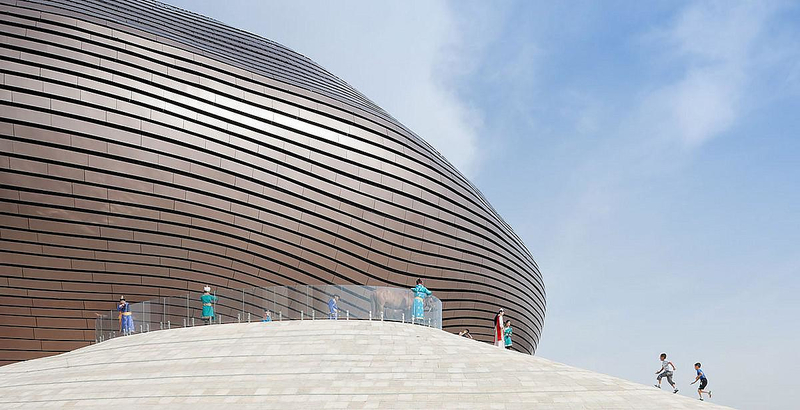 The Ordos Museum took its name from the city of Ordos, a newly constructed city designed for one millions citizens, right in the middle of the Gobi desert. 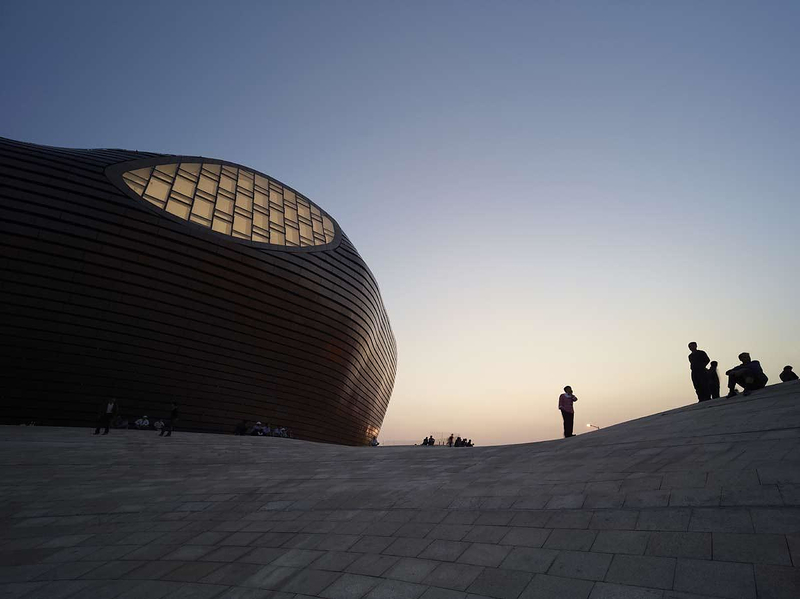 The city tries to combine the Chinese ancient tradition with future prospects and has attracted some of the world’s best known architects. 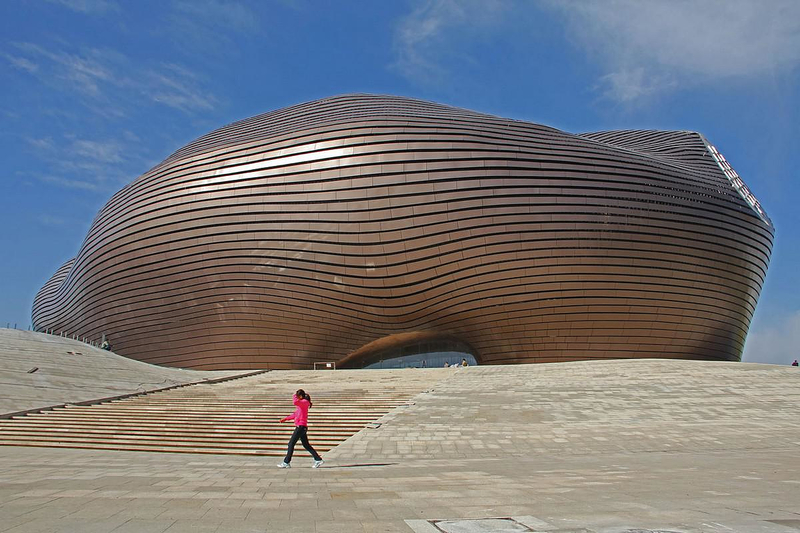 Ordos already has a collection of contemporary buildings from which the Ordos Museum definitely stands out. 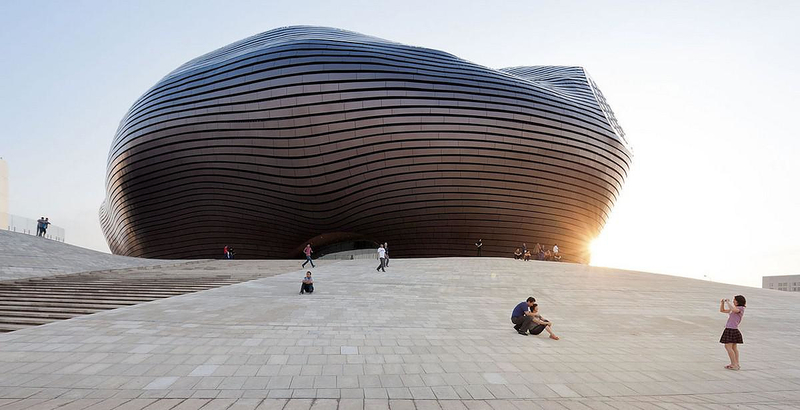 MAD Architects wanted the building to appear familiar on one hand, and on the other hand, to look extremely unique. 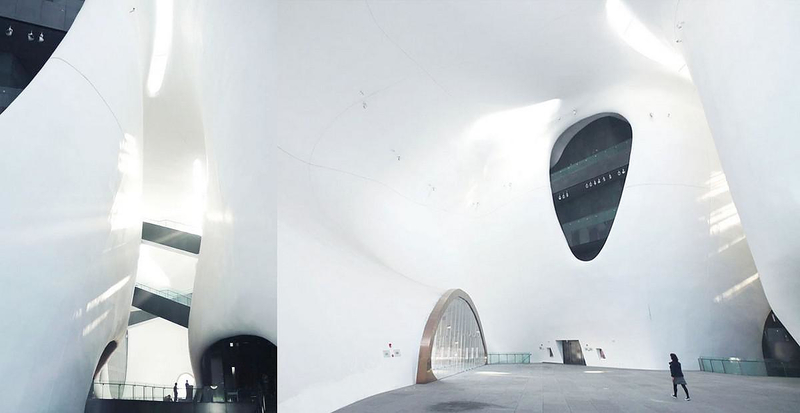 Just like a spaceship that just landed on the desert, and at the same time, as if it has always been there. 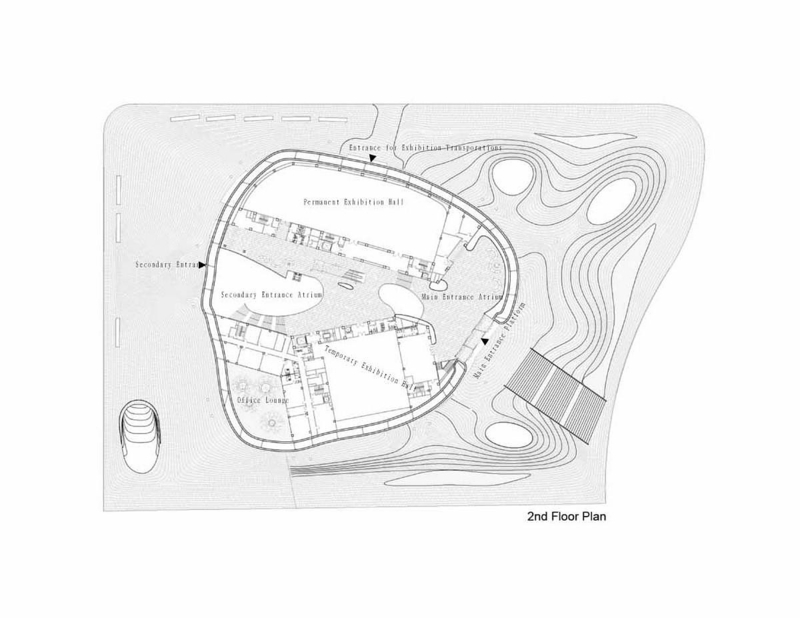 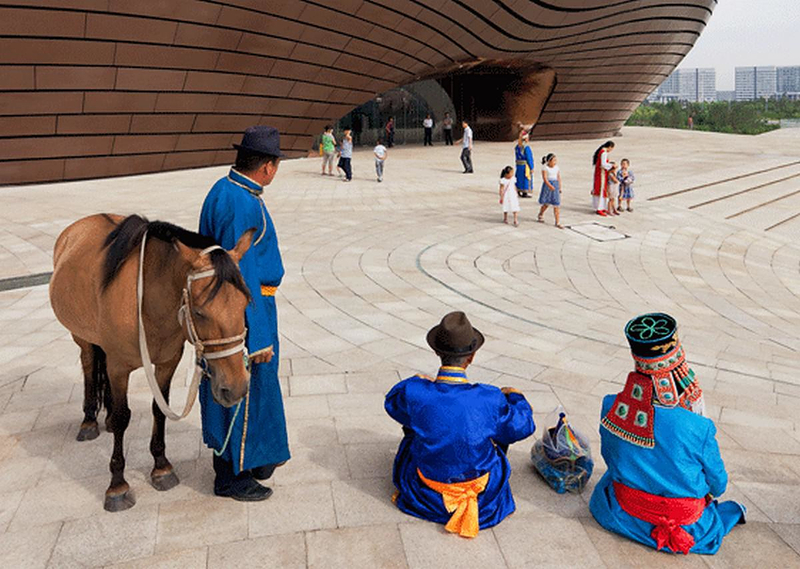 They placed Ordos Museum over a dune like plaza that has been embraced by the people of the area. 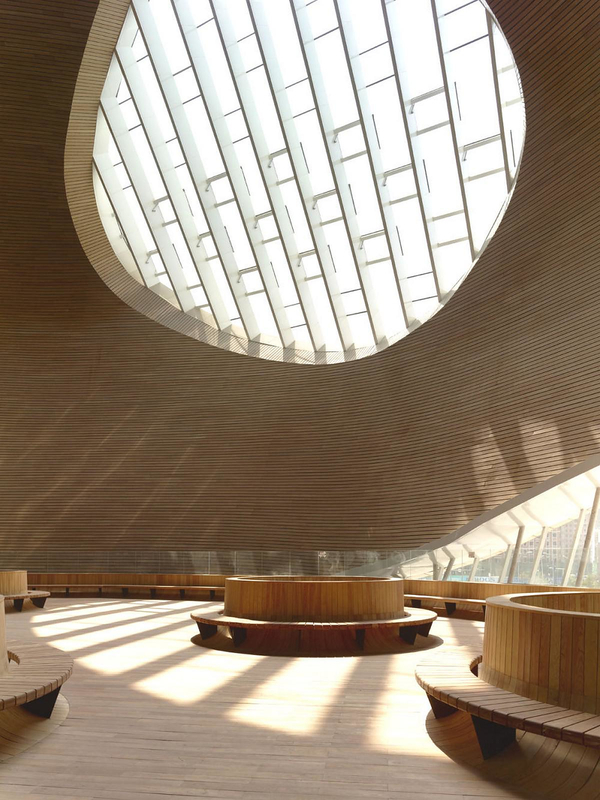 In the interior spaces, the naturalistic forms, bathed in light, complement the exterior and give us a contemporary building of timeless architecture. 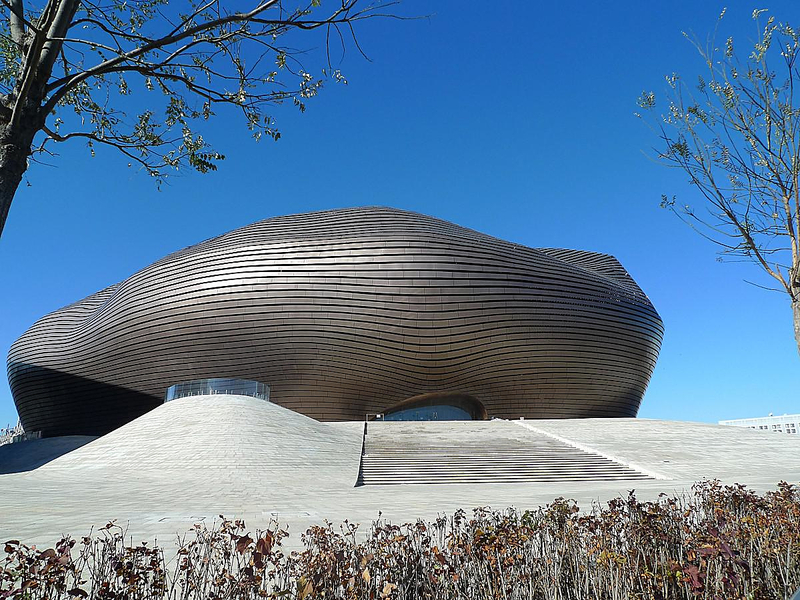 Overall we could conclude that the Ordos Museum makes it to be one of the 21st century buildings that one should visit.